Distracted drivers pay insurance hike | What Car? Careless driving convictions are costing motorists hundreds of pounds in increased insurance costs. 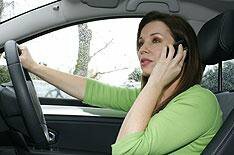 Research conducted by Moneysupermarket.com suggests that a charge of driving without due care and attention raises premiums by around 200-400 an average of 27%. This is on top of the 60 fine and three penalty points received upon conviction. Eight in 10 drivers admitted to comparison site moneysupermarket.com that they get 'preoccupied' while driving. Smoking, changing the radio station and slowing down to look at accidents were the leading cause of distractions, and a charge can be brought against a motorist for doing something as seemingly innocent as eating a sandwich while driving. Although it may be unintentional, careless drivers are a menace on the roads and are a danger to both themselves and others. Not only are these bad driving habits, but also expensive habits if you are caught, said Peter Harrison, car insurance expert for Moneysupermarket.com. Particularly hard hit are newly qualified drivers, who have seen premiums double over the last twelve months, making it very difficult to find affordable cover. The difference between a clean licence and one with a careless driving conviction varies. According to the report, Axa charges 603.53 clean and 1,006 after a conviction, Churchill charges 867.08 before and 1,239 after, while Swiftcover asks for 640 before and 806 after.